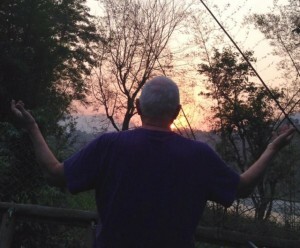 A native New Yorker, Steve Suhowatsky has decades of experience in a multitude of fields. From heading Syracuse Supply, a 100 year old publicly traded equipment distribution company, to taking a healthcare company international, and even sitting on multiple bank boards in both Ohio and New York, Suhowatsky’s experience covers a diverse line of management and executive responsibilities. As he sits on numerous boards across the United States, Steve continues his passion as an entrepreneur as he now coaches, funds, and supports new companies, one being Thrive Projects. While having personal ties to Nepal, Steve and the Thrive team were united when co-founder Brian Kam was introduced to Steve at Syracuse University in the very early stages of the founding of Thrive Projects. Today, he continues to support the team as a member of the Advisory Board as well as taking trips out to Nepal to help establish new networks in country. 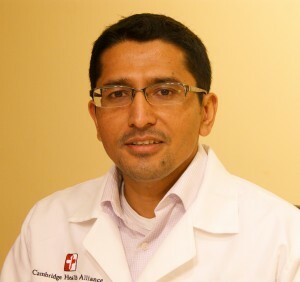 After obtaining his medical degree at Manipal College of Medical Sciences in Nepal, Dr. Bajracharya traveled across the globe to the United States, specifically Boston, MA, to complete his residency at Steward Carney Hospital and his fellowship training at Harvard Medical School and Beth Israel Deaconess Medical Center. Dr. Bajracharya continues to reside in Boston and works as a hospitalist physician and the Associate Director of Inpatient Informatics at Cambridge Health Alliance. He is also a faculty member in the Division of Clinical Informatics at Beth Israel Deaconess Medical Center and teaches medicine at Harvard Medical School. Not only does Dr. Bajracharya give back to the academic institutions that have helped him in his career, he is also helping his native country of Nepal through Pratham Health, a company that strives to deliver quality medical care to patients in Nepal leveraging the power of technology through its network of Nepal and US based physicians. After meeting the Thrive team at Syracuse University while giving a talk on Pratham Health and its efforts on helping the Nepali people after the earthquake of 2015, he has both advised and supported the co-founders as a member of its Advisory Board. Dr. Bajracharya also continues to provide new networks and connects the Thrive Nepal team to new communities for program outreach. 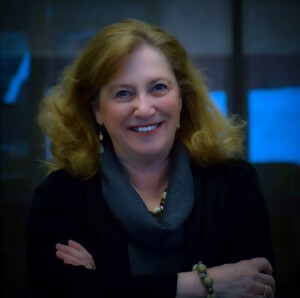 Linda Dickerson Hartsock is the executive director of the Blackstone LaunchPad at Syracuse University, and an adjunct faculty member of the Whitman School of Management. She has a long career in state and regional economic development, and community revitalization, working in areas related to innovation, entrepreneurship and civic enterprise. As one of the primary and initial supporters of Thrive Projects, Linda has been bestowed the title of “Team Mom”. As a member of Thrive’s Advisory Board, Linda has been a fundamental component of the Thrive team’s success. Linda has coached the team to take on all the challenges that young social entrepreneurs face, including incorporation and strategic planning. She has also provided the team with a diverse group of support lines in the Upstate New York area, always connecting the team to anyone that may aid the team’s mission.